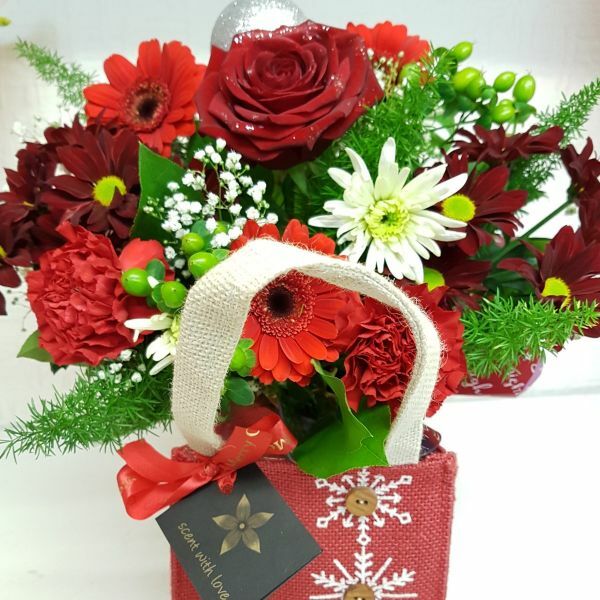 Let our florists create a wonderful gift bag arrangement in floral foam, filled to the brim of festive blooms and seasonal finishing touches. Choosing a florist choice display enables our florist's to demonstrate their creativity by creating something truly unique just for your recipient. Please note, sundries and flowers will vary to the example shown, photo for display design example only.